Remember the original LG Lucid? If you don't then that's fine: it wasn't much to write home about. 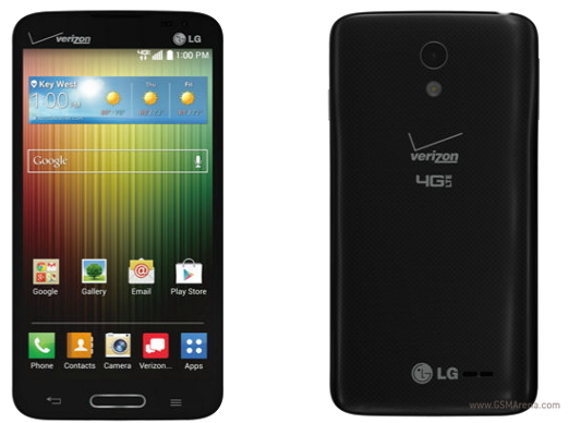 But the new LG Lucid 3 for Verizon is a pretty decent handset, and it can be yours for $300, no strings attached. If you don't mind signing on the dotted line for a two year agreement, then you could always get the device for free, which isn't bad, considering the Lucid 3's specs. It packs a 4.7” 960x540 display, a 1.2GHz quad core CPU, 8GB built-in storage with a microSD card slot, and a 5MP camera. There isn't any info on how much RAM the Lucid 3 is packing, but don't expect it to be lower than 1GB. The phone is also rocking Android KitKat 4.4.2 out of the box, and will give you 2,440 mAh worth of juice. The design of the device is also worth talking about: it's about the same size as the Moto X, in spite of its physical buttons. As a result, the phone has almost no bezel, which gives the illusion of it being a more premium device than it really is. Any Verizon customers interested in giving the Lucid 3 a whirl? Or would you rather spend an extra $50 and get a Nexus 5 for use on a GSM carrier instead? At last a device without filthy on-screen buttons. And crappy Verizon logos everywhere. On top of that it's probably loaded with bloatware that nobody wants nor uses.